Since it’s Spring now I feel more eager for the coming Summer fishing than I’ll ever be. Playing around with leaders in the garage recently sparked a few tweaks to my regular set up. I’m all for reducing the amount of knots in a leader but sometimes constructing them is dictated by demands. 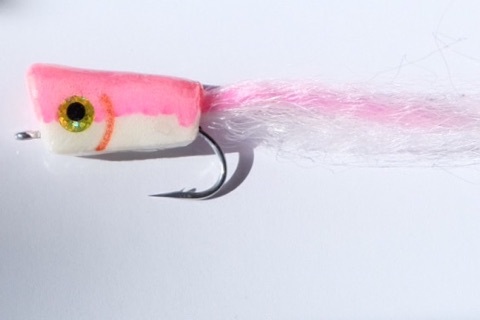 Most of my 10wt fishing utilizes 20-30lb flouro leaders around the 7-9ft mark. The problem I have with adding bite tippets is not in the tying of joining knots (slim beauties, blood, albright etc). It’s more the issue of wasting a good length of leader in retying sections, in particular any doubles. There’s an element of resourcefulness rather than stinginess, why waste perfectly good materials? With this in mind I got busy and came up with a solution. I don’t have a fancy name for it, probably never will and someone has probably already tied one very similar. But this set up made a lot of sense to me for the high stress demands of Kingfish. Tie a solid ring on using the AG chain knot. 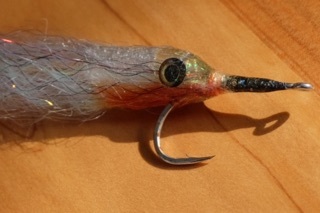 I have been using this knot on stick baits for a few years and it’s bulletproof. The fact it passes twice around the ring means more load distribution, similar to the catspaw. These Decoy rings are tiny and rated to 300lb! Even if they break at half that it’s still 6 times the leader rating. These rings are great – smoothed inner edges, no hard edge for knot to chaff againgst. Plus the shape of them allows AG chain to bed well and not slide around. 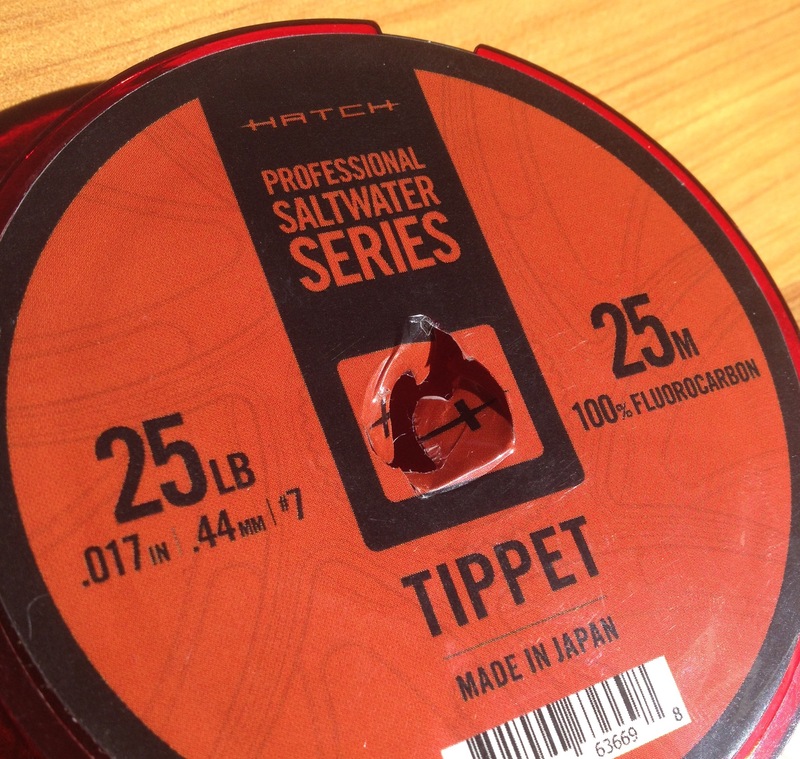 Add bite tippet using 4-5 turn Uni or preferred knot, moisten and tighten hard. Select fly, tie on and bugger off fishing. Once your tippet is too short just add another piece. Too easy. 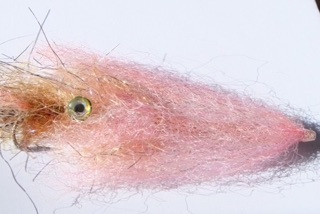 For a few years now I have been sourcing various fly tying materials from Matt at Taupo Rod & Tackle. The man sure knows his stuff and is more than happy to track down stock in a flash (no tinsel related pun intended). So when a parcel arrives at your house full of goodies you naturally put thoughts to hooks and the fluff starts to fly. This time around I had some Senyos Laser dub to play with. This stuff is as versatile as it comes whether using as a dub or stacking it like deer hair. It can also be clipped to make tight shaped heads and bodies. In fact you are only really limited by your own imagination. What really sets it apart from other similar products is the look it has in the water, the fine sinuous fibers have amazing translucency even when packed hard to form a bulky water pushing head. You can tie it as sparse or dense as you like but I found smaller, more frequent applications when stacking to be favoured. especially when blending various colours. Although I have had zero time on the water of late (establishing a business ain’t easy) I was impressed with the water shedding capabilities when a few test run flies came out of the sink. Any remaining water will be displaced on the back cast easily enough, leaving a fly with its originally intended weight to throw. Perfect for long days on the water waving the wand. As you can see the red is particularly good for blood. 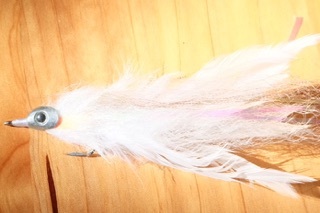 Just another trigger to consider when tying. Nothing says eat me like a flared gill plate. Since I have had minimum time on the water over the last month (work, baby, bad weather, work, work… repeat) I figured best to write something that is the next best thing to time on the water. Prepping for fishing trips is a very close second, especially when Winter is making itself present. Eyes are a deal breaker. 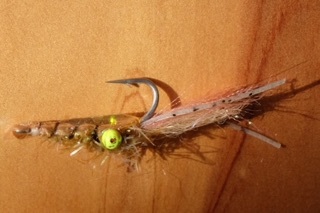 Picture a fleeing baitfish, eyes wide as a predator closes the gap in pursuit, the predator keyed on dinner. They’re both watching each other, looking for clues as to each others movements. Many good fisherman also understand these subtle body gestures and use them as an indication themselves. Liken it to a first date, something I’m out of touch with but if my memory serves me right you can read a fair deal from eye movement and whether or not you’re getting lucky. There’s such a vast array of options from homemade works of art to mass produced sheets of pupils. 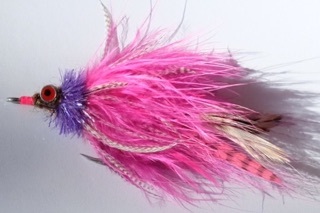 It’s really up to the fly makers imagination. Personally I prefer function and durability when using them, most of the time bound under a coating of resin. The flies and eyes below are just the tip of the ice berg and the options are limited only by creativity. So next time you’re tying or even better on the water stop and give them a thought. It may be the difference between a donut day or a damn good day. 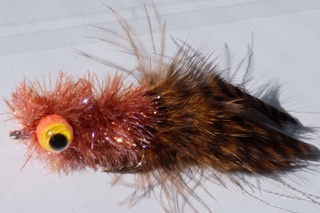 Tube Squid fly with light weight plastic moulded eyes. My kind of Easter egg. Have a safe and happy Easter everyone what ever you may be doing. 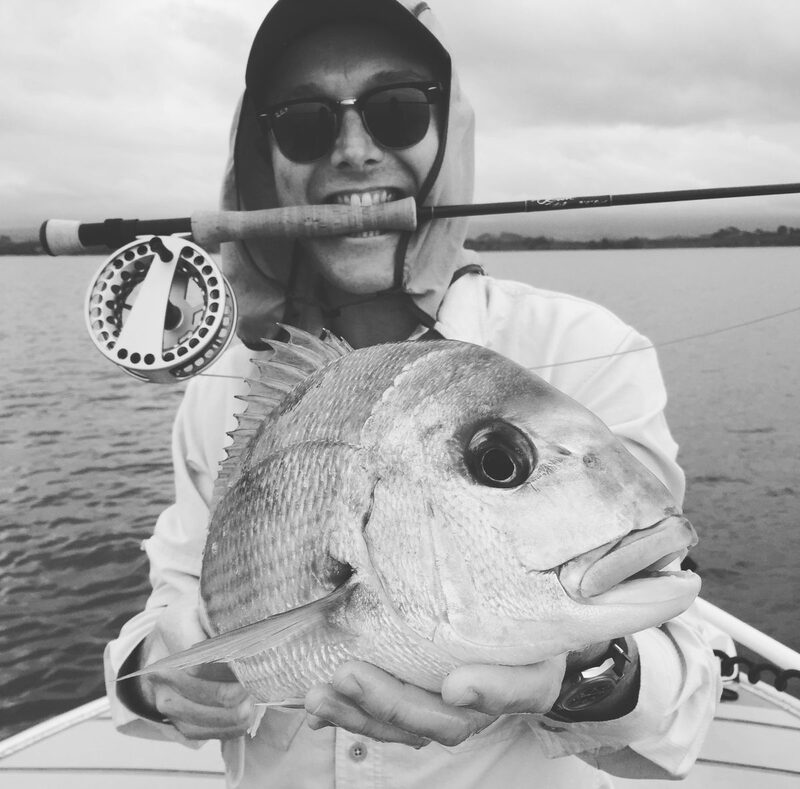 Tauranga’s flats producing some prime autumn fish, coupled with bluebird days and calm winds things have been firing nicely. @deano_salty with the rewards from a textbook eat in the shallows. 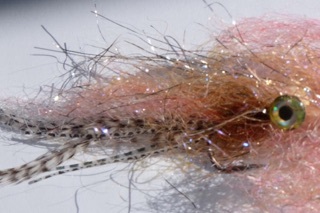 Salt water fly fishing guide. Tauranga, Bay of Plenty Blog at WordPress.com.